Hiring third parties to conduct international business is appealing: Foreign business agents, consultants, distributors, and other groups facilitate business by speaking local languages, providing expertise, and accessing professional networks –making business transactions straightforward and profitable. These professional engagements make sense, but companies should consider the risks of working with third parties before they find themselves in trouble – or a multimillion-dollar lawsuit. 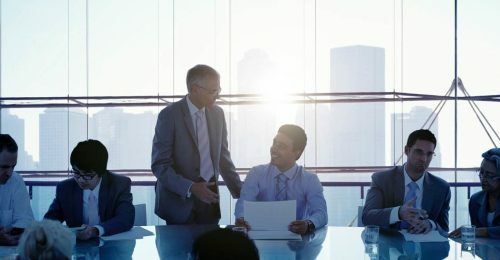 If third-party employees disobey anti-bribery and accounting policies laid out by the Foreign Corrupt Practices Act, or the FCPA, companies face serious consequences that undermine their financial health and reputation. 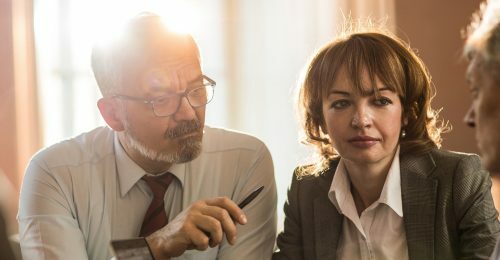 For this reason, employers are encouraged to recognize high-risk third parties to avoid fines and corporate monitoring associated with misconduct. Sales agents and consultants are a third party to pay close attention to. Valued for their local language skills and insight, they’re pivotal players in growing company profits. But they don’talways play by the rules, and corruption becomes visible in a variety of ways within this third-party subgroup. Practical Law outlines some of the red flags that should warrant investigation — excessive commissions paid to sales agents, vaguely described services, and tasks performed that aren’t related to the business are suspicious signs worth a second glance. An example is the 2014 Alston S.A. case, in which the French power company paid $75 million to third-party consultants. With these large profits, consultants helped to illegally bribe leaders in countries around the world, amassing $4 billion in wealth for the company. After an investigation was conducted by the Department of Justice, Alston agreed to a $772 settlement. Panasonic Avionics Corporation also illegally used foreign business consultants for fiscal gain, causing its parent company, Panasonic Corporation, to falsify its books and records. In this scenario, consultants were retained through a third-party service provider and didn’t do much consulting work. A senior PAC executive oversaw and funded their employment to strategically boost profits. One so-called consultant made $875,000 within six years by negotiating contracts with an airline he was already working for. Through his connections and efforts, PAC made over $92 million. The same company admitted to hiring sales agents in Asia who didn’t pass internal diligence requirements, ultimately hiding more than $7 million in payments to these sub-agents. The result was a lawsuit that cost Panasonic and PAC over $280 million and the Department of Justice’s issuing of a two-year compliance monitor to oversee the company. Alston S.A., PAC, and Panasonic paid the price for using bribery and false record keeping as tactics in their pursuit of wealth – actions that the Foreign Corrupt Practices Act explicitly deems illegal. According to anti-bribery provisions, individuals and companies cannot exchange payment or things of value to government officials to gain or sustain a business. The case for Alston shows how the illegal transfer of funds to third-parties used for bribing officials led to the company’s ensuing investigation. Panasonic suffered similar allegations of third-party misconduct. When employers failed to accurately record the allocation of assets by hiding the employment of international sales agents, they violated accounting provisions laid out by the FCPA. The Department of Justice and the Securities and Exchange Commission, a government department and agency that share enforcement authority for the FCPA, proceed with costly investigations and lawsuits when companies are clearly in the wrong. Before following through with charges, they’ll consider two things – if a company operates a pre-existing FCPA compliance program, and if they don’t, the necessary steps the company takes to create or improve one. Panasonic is another case in point. After paying $280 million in civil and criminal penalties, they were still required to hire a monitor to oversee FCPA compliance efforts. According to Julie Myers Wood, the company didn’t thoroughly test or implement the original compliance program, and so the government stepped in with an independent monitor. The point of enforcing the FCPA is to ensure a fair and competitive market in which all businesses have the right to participate. When corruption impedes this right, governmental departments and agencies intervene with fines and monitoring practices in order to fix broken systems. For this reason, the FCPA is an ever-relevant law, strictly upholding transparency and compliance efforts in the corporate realm.